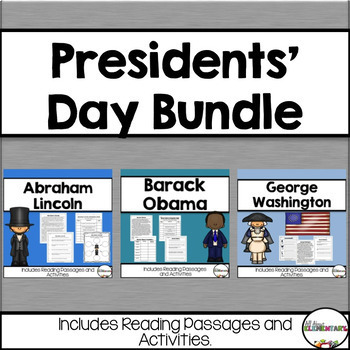 This bundle contains my Abraham Lincoln, George Washington, and Barack Obama Units bundled together. 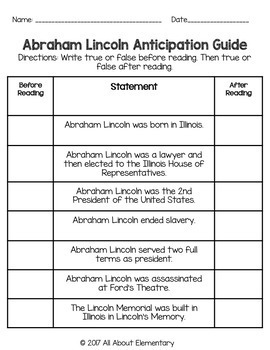 Each unit contains activities for four days. 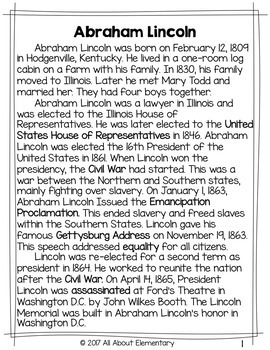 They include two reading passages (they are the same, one is slightly easier), vocabulary pages, vocabulary cards, KWL chart, anticipation guide, text dependent questions, discussion questions, writing paper, and a coloring page. 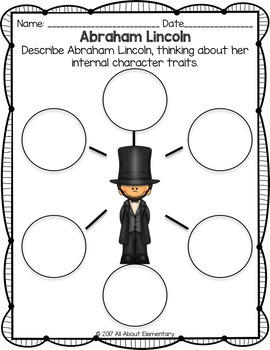 These units are great for learning about the presidents and integrating reading with Social Studies!